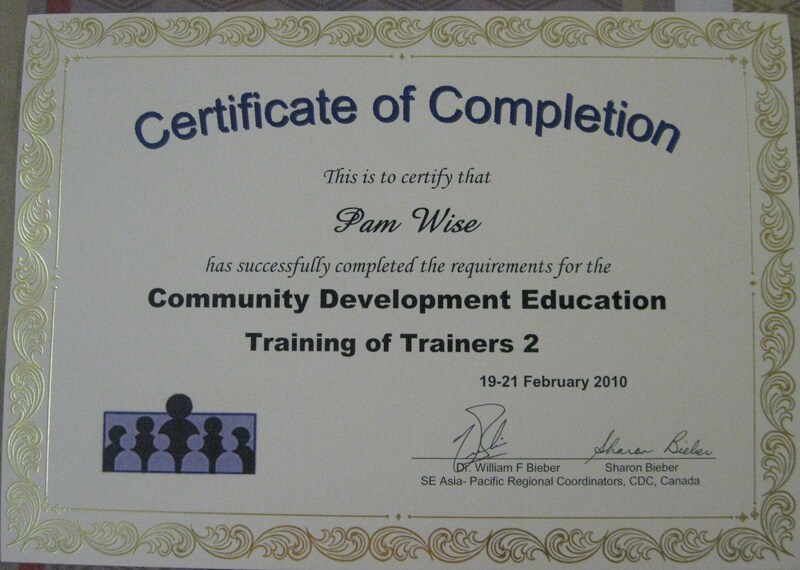 Two years ago I went to Chiang Mai, Thailand and attended the Community Health Education Training of Trainers 1. The CHE approach to community development was a concept that I had first heard of in Cambodia and it fascinated me. At that point, I took the training specifically to learn more about the strategy and the extensive library of educational materials that have been developed with the needs of the oral learner in mind. 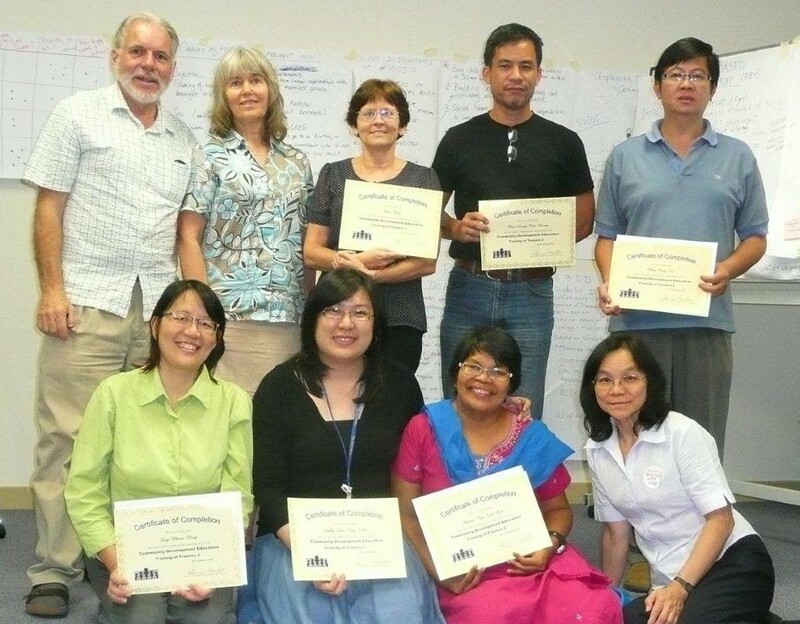 Although several individuals in Malaysia have completed TOT1 and a number of organizations have begun using the CHE priniciples, that approach is fairly new here. This past weekend I and five others were able to complete TOT2. It is normally done over five days but we did twelve hours each on Friday and Saturday and finished up with four hours on Sunday afternoon. I thoroughly enjoyed the training and the opportunity to meet some very fine, committed Malaysians and hear about the projects they are involved with. Programs represented are reaching out to street people, addicts, single parents, immigrants, youth and the aboriginal people of Malaysia with some very unique strategies. With six of us now trained in Malaysia, we are hoping to be able to begin doing TOT1 sessions for local organizations and I look forward to the opportunity to develop some new relationships in Malaysia. This coming weekend I will go back to Thailand to attend the CHE SE Asia Consultation where each country will present on their own CHE projects, a great opportunity to meet some new people and to build some relationships for Project Hannah.